Gocek is a picturesque marina town in south-west Turkey with a heavenly look and feel attracting sea lovers from all around the world. It’s located just 20mins from Dalaman International Airport. 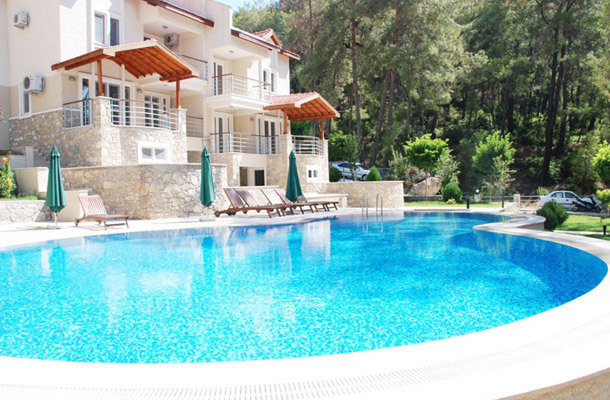 Gocek Villa Rental offers the best properties to rent in Gocek at very competitive rates. Everything is taken care of including airport transfer, car hire and arranging all holiday excursions. Whether you are looking for luxurious villa interiors, stunning views or waterside properties, Gocek Villa Rental has the perfect property for you. 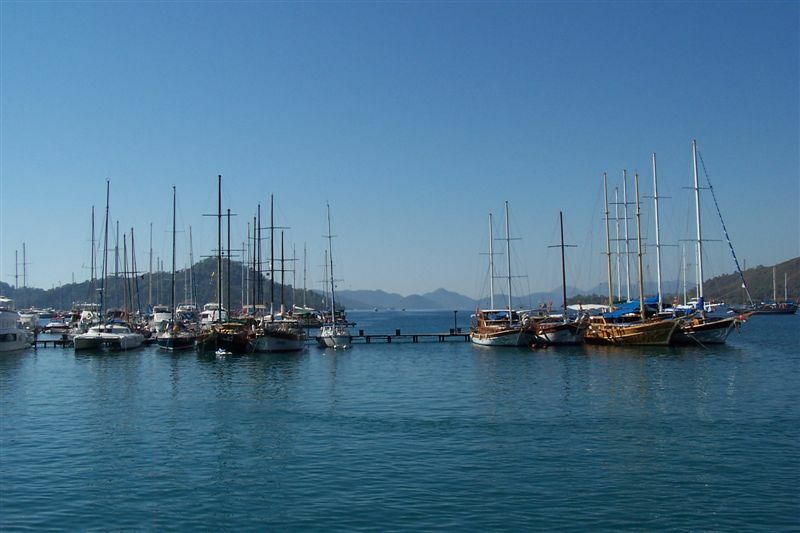 GocekRental.com is a renter-centric website solely dedicated to the marina town of Gocek. Gocek Villa Rental only offers seafront villas or nature view apartments. Our properties offer excellent choices for large family holidays, friends groups, romantic getaways or business trips. All Gocek Rental properties offer quality and value as a pre-requisite. This entry was posted in AboutGocek on October 17, 2012 by gogocek. 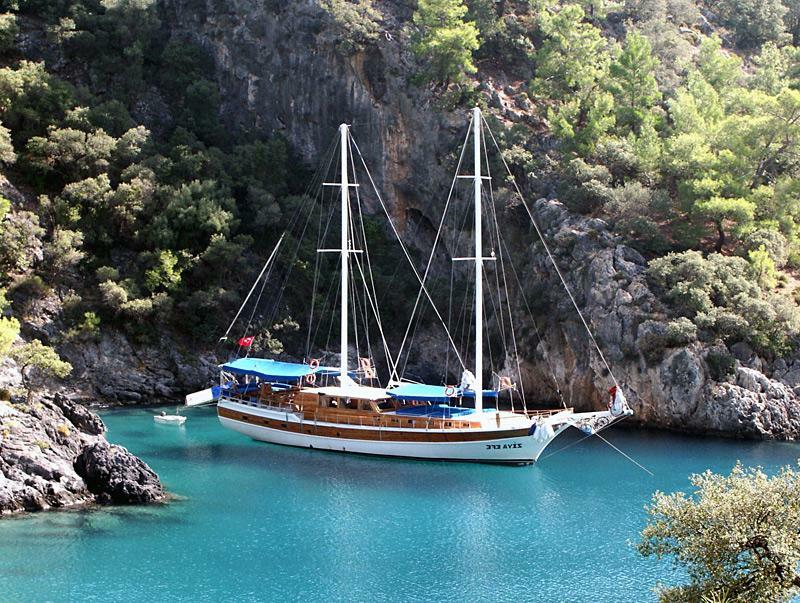 When you visit Gocek, you’ll hear the word ”Gulet” very oftern. Gulet is a traditional design of a two-masted wooden sailing vessel, mainly sails around southern Turkey. Traditional Turkish Gulets have been built by inspiring from the ancient Ottoman coast boats. However, in last 30 years these boats have started to be designed for blue cruises. These yachts sail through the beautiful coasts of Aegean & Mediterranean Region and have a special design with its engines and canvas for cruise. Although they have all the comfort of the modern life, it still reminds us the ancient time yachts with its high sails, esthetical design and the golden yellow handmade decoration. The unique design of the Gulets brings the comfort with it. The other feature of the Gulets is that they are built by craftsmen and they all are hand-made. In the Aegean Region they have been made of the wood of pine, chestnut, teak and mahogany trees for years in shipyards. These locally designed yachts (which have a circular shaped stern) work with both sail and engines. On the contrary of the light sail boats which are used for sport, Gullets’ length of depth is not so tall. With these features, Gullets are suitable for anchoring to the coasts and shallow waters. On the contrary of big ocean ships, it is easier to find the bays and missed creeks with Gulets. Small sea ports and habitats represent a very cosy life which can’t be seen with the big ships. Gulets are the hotels with a full service; the only difference is that you see different views from your room window all the time. Gulets -which are redesigned in accordance with the modern life needs- show variety with different shapes, different standards and different passenger capacities. Modern Gulets have all the comforts as in our houses. They all have comfortable cabins, shower, toilette, living room and sunbathing areas. Generally the poop deck of the yacht is used for a rest and having a meal. The fore deck is used for sunbathing. The decks are designed for the needs of daily life. Every yacht has a motorized boat or a boat with a paddle on the back. We’ve categorised our yachts as standard, luxury, deluxe and high deluxe yachts. Classic YachtsMostly in all cabins there are double beds and there are also cabins which have single beds, additionally in the cabins there are wardrobe, toilette, hot and cold water and a shower which is pulled out the tap. Generally classic yachts have 3 crews and a kitchen which has the capacity and all the necessary equipments for 3 repasts in a day. Inside and outside of the yacht there are two dining areas. The comfortable sitting area on the deck, music, all safety equipments, freezer, motor-operated dinghy, fishing equipments, snorkel equipments, cushions for sunbathing are all available. In many classic yachts, electric is provided from the battery (12 or 24 volt). Only at the nights near the coast we can have 220V electric. Superior Yachts: These are the yachts which have air conditions addition to the classic Yachts. Luxury Yachts: Mostly in all cabins there are double beds but there are also ​ some cabins which have single beds. 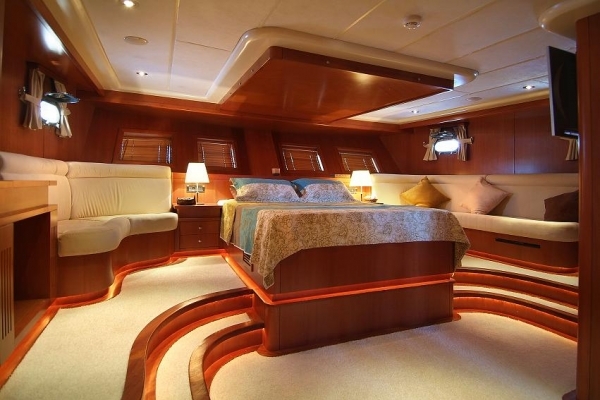 In some of our yachts there are wider rooms which is called master cabin. Luxury yachts have full equipment. These yachts are newer than classic gullets. Addition to classic gullets, luxury gullets have air conditioner, shower cabins, better sailing gear, generator, canoe and TV in the saloon, larger bed size and additional drawers under the bed. Also in every yacht there are extra equipment. DeLuxe Yachts: Deluxe yachts are wider and more modern than the luxury yachts. Most of our deluxe yachts have 1 or 2 master cabins. Addition to luxury and classic gullets, these yachts have newer and full sailing equipment, larger bed size, better navigation system, much more living area, in some of them wind surfing and other entertainment equipments. etc. and there are extra equipment. Super Luxury Yachts: These gullets are the Turkey’s most luxury yachts. All its cabins are master cabin and include Jacuzzi, more crew members for service, TV in every room and addition to this; super luxury yacht has very luxury equipment to satisfy its customer. Its comfort is compared to six star hotels. This entry was posted in AboutGocek on October 10, 2012 by gogocek. This entry was posted in AboutGocek and tagged Gocek, Gocek Rental, Gocek Vineyard on October 3, 2012 by gogocek. This entry was posted in AboutGocek and tagged Gocek, Gocek Images on October 2, 2012 by gogocek. Göcek is a favorite destination for both local and international yachtsmen, as well as a favorite stopover for jet-setters and celebrities alike. Named ‘Kalimche’ in ancient times. 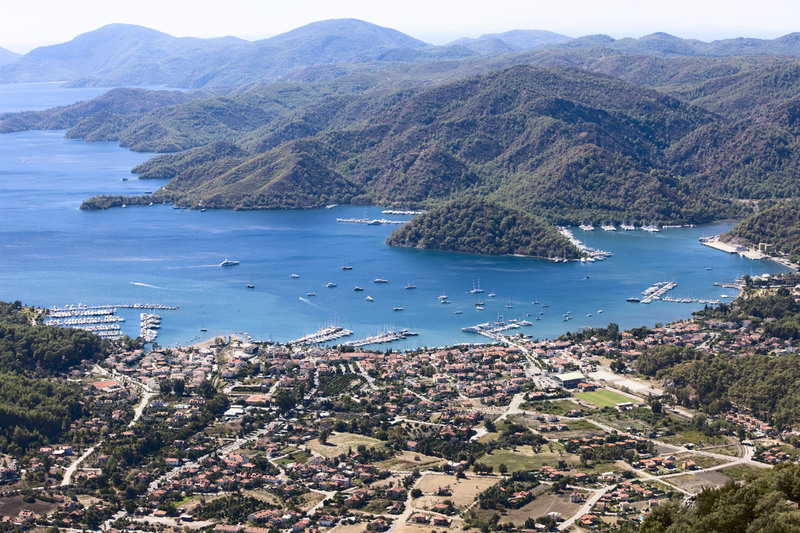 It is not just world-class marina that makes Göcek a special place; it is the way the culture and natural surroundings blend in such a picturesque way. Strict development laws ensure that this very unique setting is protected; and since there is no oversupply of hotels, it is never crowded; majority of visitors are usually sophisticated travelers like yourself. This entry was posted in AboutGocek and tagged Gocek, Gocek Location on October 1, 2012 by gogocek.